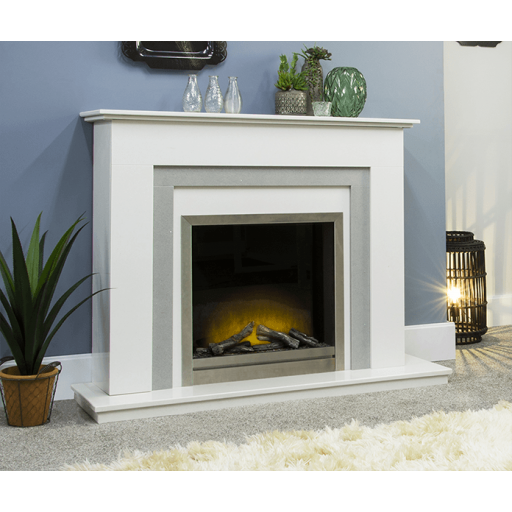 The Michigan electric suite comes in crystal white and sparkly grey marble complete with firebox HD definition electric fire. It comes with thermostatic remote control with timer and dimmer facility. With a 2KW heat output and a flat fix against the wall no chimney breast is required.